Gigi has been staying with us the past couple days and while she has been here we've taken a trip (or two...) to Hobby Lobby. 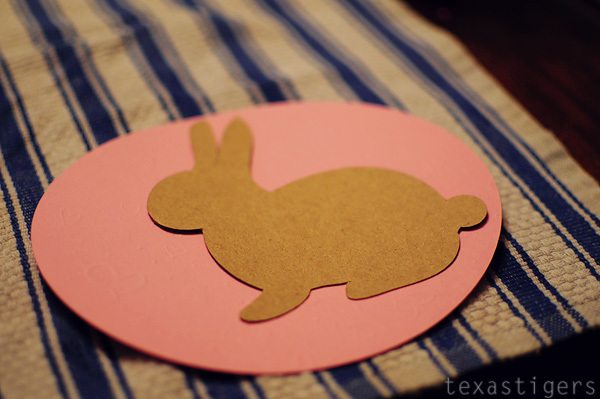 She came across a blog with a super cute idea for Easter baskets. We've got several baskets but nothing special or personalized. 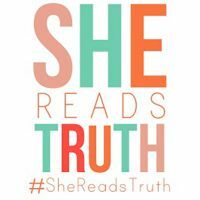 This year I wanted it to be different but wasn't sure how until Gigi showed me this post . The 2nd Hobby Lobby had the buckets we needed (and 50% off this week too!) but only in blue. I would have preferred the pink for Abby but now that I've finished her baskets I think it looks great in blue. This is where it got tricky. I'm not a mod podge expert in fact I haven't really used it that much at all. I didn't follow the instructions from the blog post where we got the idea and it turned out that was a bad idea. I ended up scrapping the first one I did for Abby by wetting the paper down and un-mod podging it from the bucket to start over. I had tried to just use elmer's glue to stick all the paper pieces together then mod podge a layer over the whole thing. That just resulted in bubbles in the paper, creases and torn little cursive lines. Not good. 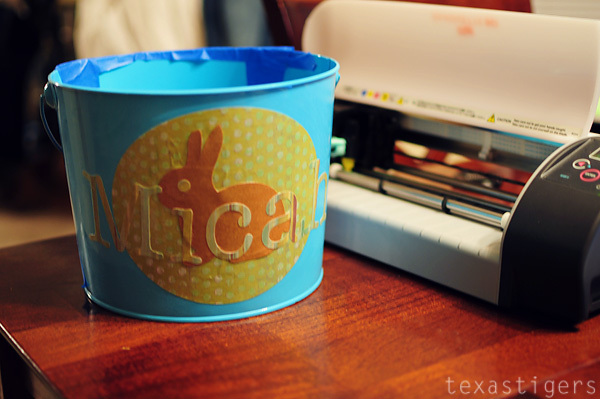 With Micah's I followed the directions better and mod podged the paper together, let that dry for a few minutes then mod podged it onto the bucket and that left no bubbles and looked fabulous. 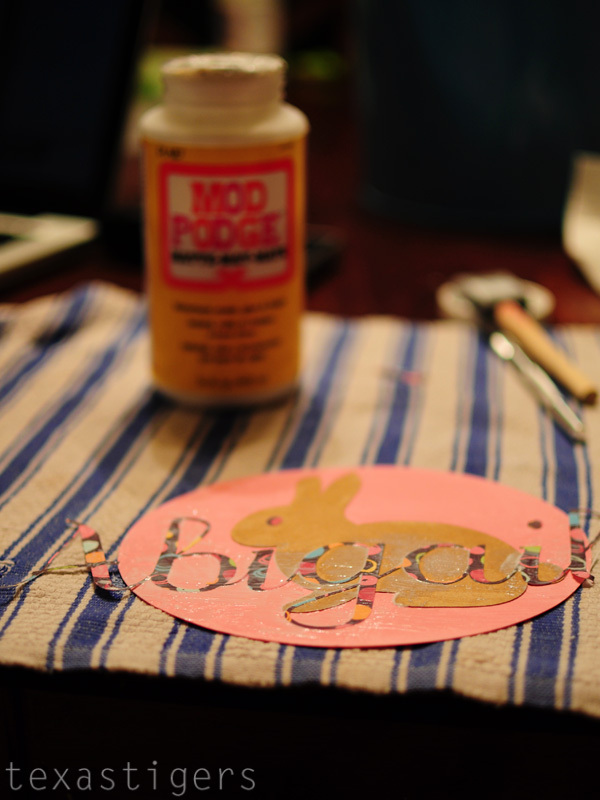 So I started over on Abby's the same way after cutting out a new name, oval and bunny. I love how both my kids names have an 'i' in the beginning of their name with fit perfect to also make that dot above the 'i' into the eye of the bunny. I can't wait for the kids to see them. I just can't decide if I want to show them when we go Easter egg hunting (though most hunts we go on they decorate bags before hand!) or if I want to save them for an Easter morning surprise along with the goodies inside. I've figured out almost everything Abby is going to get in her basket. Micah I'm having a little bit harder time with but I'm starting to get a few ideas. This is fantastic and I think I might steal it! Love this! I might have to make some too, I'm so not loving the baskets I have! 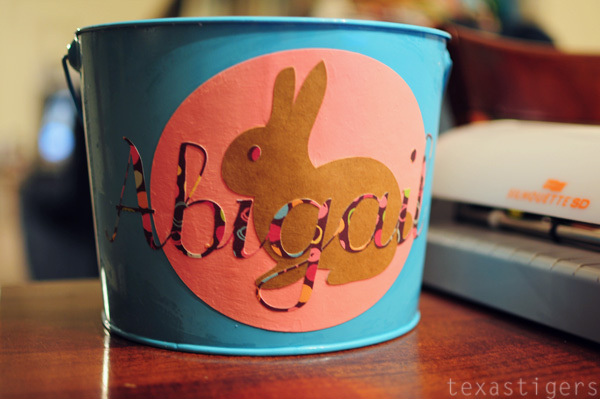 We just posted a feature on "what to put in your easter basket" and included your adorable buckets! 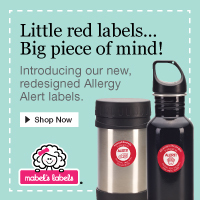 Feel free to add a featured button to your blog!